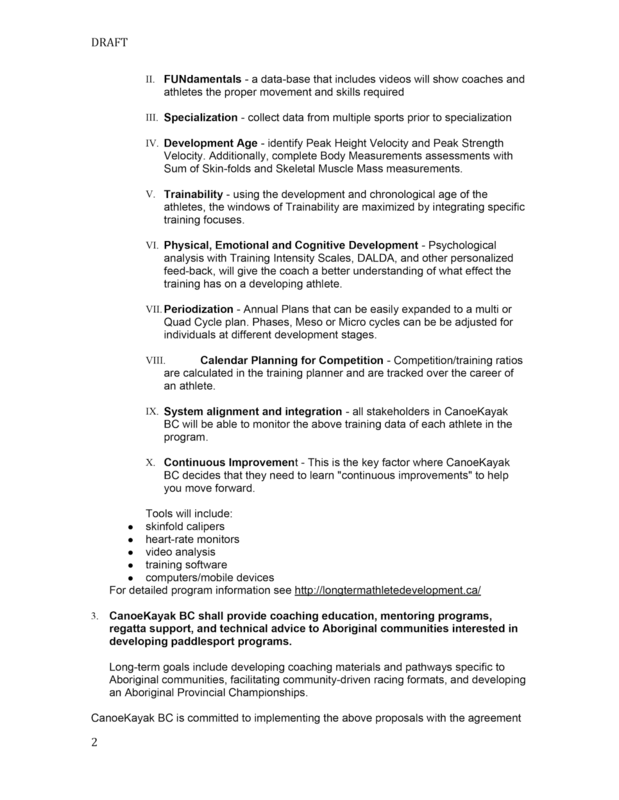 “Jason Anson’s thorough and systematic approach would prove useful to anyone engaged in monitoring the training progress and development of individuals within a sport organization. Anson is 25 - 50 years ahead of his time in sport science technology.” ­ Brent S. Rushall, Ph.D.,R.Psy. July 1, 2017- Canada’s 150th Birthday, the Heritage Department of Canada’s ‘Sport Canada’s Division’, has no sport technology program for athletes, coaches and/or sport organizations. Comparatively, The US Olympic Team and Sport USA not only has a sport technology program, they also have a Director of Sport Technology who is the former head Sport Technologist for the USA Olympics. I have been asking the Canadian sports community to consider my unique perspective and experiences. Sport technology is the collaboration of sport sciences and sport performance analysis using a) software and b) hardware solutions to improve athletic performance. 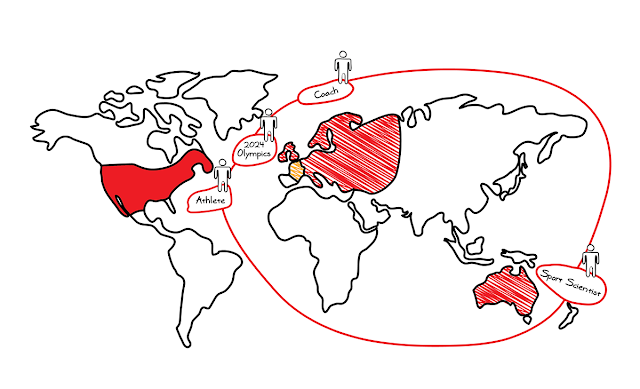 In Canada, there are 56 Canadian National Sport Organizations (NSOs) who take their framework and philosophical direction from the Sport for Life Society and the Coaching Association of Canada. These organisations support their partners with sport-specific coaching materials. Each day we are seeing more and more sport science (theory) and technology (hardware) overlapping, with the latter facilitating application of the former etc. With developments in mobile tech etc, apps are central to many sport science/technology solutions (and the web if there are cloud solutions etc). Most sports scientists and equipment technologists won't have the necessary app/web innovation and design skills, so there are definite benefits to come from collaborating with a pro in those areas. 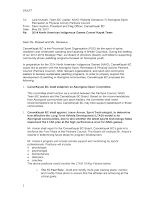 August, 2011 - Leading up to May 2012, I formalized a blueprint for Sport Technology Canada, that would focus on the Sport for Life's Long Term Athlete Development philosophy while using technology to improve indigenous participation and competition in the sport of Canoe and Kayak. 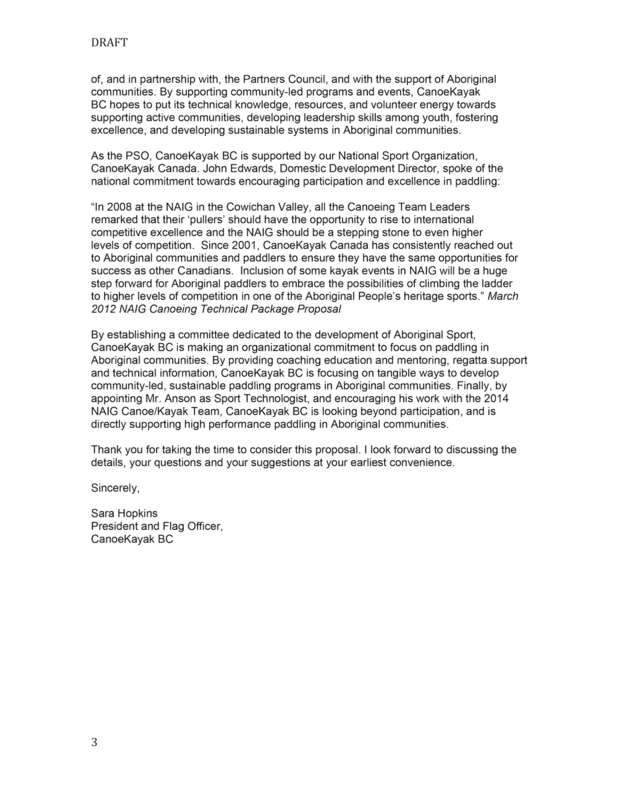 The President of CanoeKayak B.C would back the initiative in her draft letter “North American Indigenous Games Canoe/Kayak Team”, which was addressed to both the North American Indigenous Games and Aboriginal Sports and Recreational Partners Council organizations, now known as the Indigenous Sport, Physical Activity & Recreation Council (iSPARC). 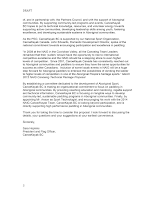 January, 2012 - I was privileged enough to find myself with an opportunity to give a presentation on what I thought might be of interest to indigenous sport in Canada. It was during this full day of presentations around First Nations, health and sport that I met Cliff Atleo Sr., then president of the Nuu-chah-nulth Tribal Council. I had a conversation with him and dedicated my resources and knowledge to obtain the vision he was selling his members that day: "We want to improve the well being and health of our people. We won’t know that unless we have developed a mechanism that we can follow the data. Last year we were this way, next year we’re champs. [Cliff Atleo Points to me (Jason Anson) behind the Camera with a Big Smile] That’s the kind of improvement we are looking for right? We need to be able to measure our progress. Be committed to enduring and evolving, shared learned journey, including be open to innovation and help developing one another's skills and reciprocal accountability is very important. What’s that mean? Well it means that Health Canada can no longer do as they wish without conferring with us, and no longer can the Health Authorities do as they wish, without conferring with us, and vice versa. In terms of Accountability. Eventually the four models that I'm talking about, we will decide which one we are going to go with. Which will be the permanent structure." 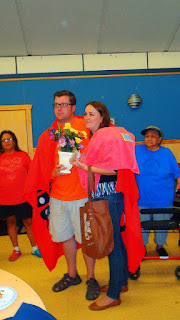 June 11, 2012 - On the National Truth and Reconciliation Day, after more than ten months of living full time on a west coast semi-remote First Nations reserve, I was able to launch - with the support of the Elders and community members - the Nitinaht Lake Paddle Club, a day the community themed "We'll All Paddle". At the time, less than 50% of the youth had ever paddled; on this date, every youth in the community had an equal opportunity to participate and race in the day’s canoe events. 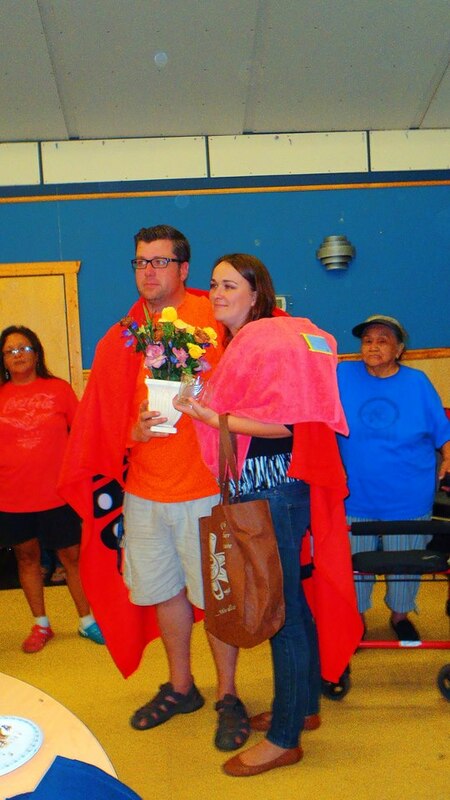 September 2012 - After a long year of efforts, the community Elders and members (more than 200 present) blanketed me and Elder Dorothy Sheppard, one of the last living dialect speaking members and residential school survivor, would give me an "Indian" name on behalf of her family: "Ditlkaaqtl", which means - warrior. November 2012 - Lorraine Lafreniere, now CEO of the Coaching Association of Canada, talked about the Sport for Life Society’s Long-Term Athlete Development (LTAD) philosophy. 1. 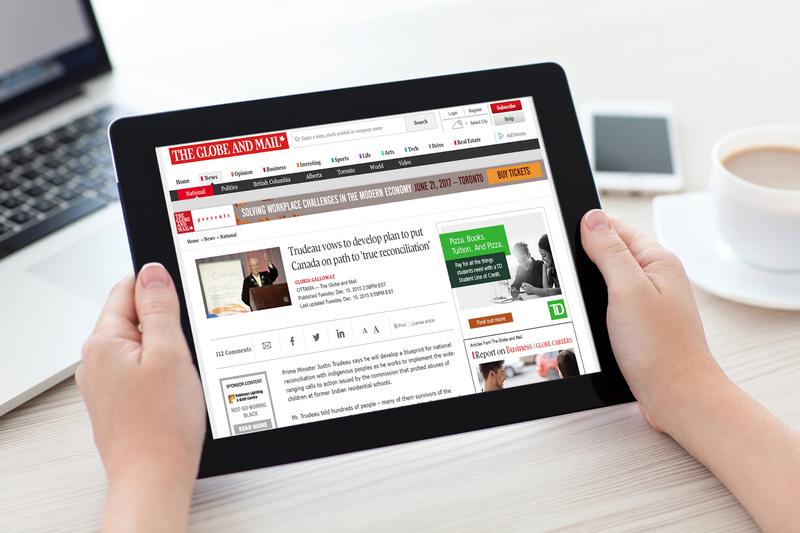 How can we make technology our friend? 2. How effective are you being? 3. 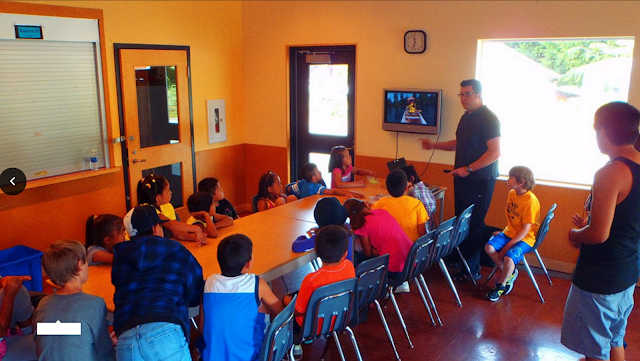 How do we prevent there being a divide between the have nots and the haves? February 2013 - I presented three workshops at the viaSport Technology Summit (Vancouver, Canada) on the above topics of a) sport technology in Canada, and b) indigenous sport in Canada (specific to canoe and kayak racing) in regards to c) The Sport for Life's Long-Term Athlete Development philosophy. 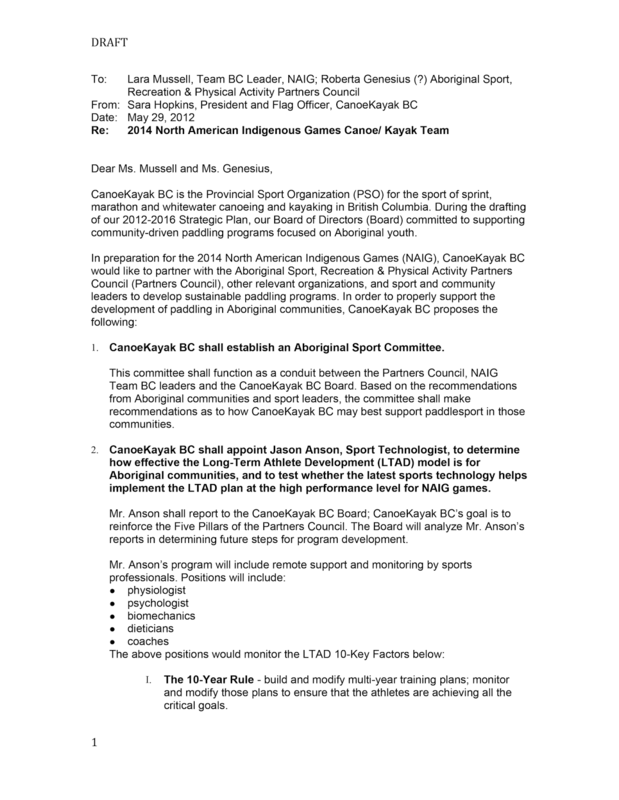 September 2013 - I had established a regional and national healing and training centre for indigenous paddlers to support them on and off rez for the upcoming North American Indigenous Games. The Sport Technology Canada program had connected the group training for NAIG with world experts for support including a Sports Science faculty donating their students’ and professors’ time (the University of Lincoln, UK). The success of that initiative can be seen in the launch of Pullers Canada. December 2015 - Canada found itself in what is known as the “TRC Era” for the Truth and Reconciliation report that was released, which included a section on Sports and Reconciliation between the Sport Canada and the indigenous people of Canada. To date, the Prime Minister has not released the blueprint for national reconciliation that was announced in 2015 (“Prime Minister Justin Trudeau says he will develop a blueprint for national reconciliation with indigenous peoples”, Globe and Mail, December 15th 2015). 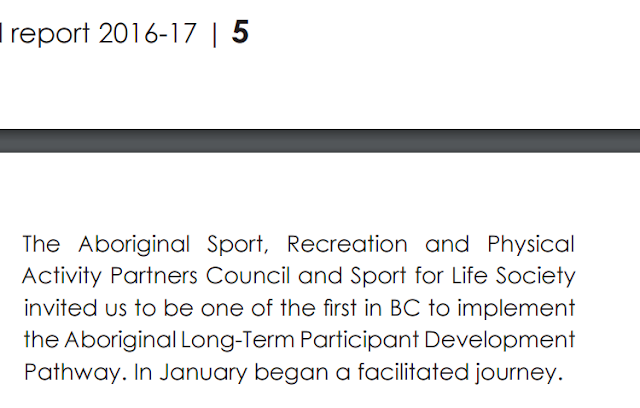 The Truth and Reconciliation Calls to Action #87-91 - "Sports and Reconciliation" section is led by the Heritage Department that operates Sport Canada, who gets their philosophy from The Sport for Life Society (S4L). January 2016 - The Sport for Life (S4L) Society, in partnership with the Aboriginal Sport Circle, has an aboriginal philosophy as well: the S4L host an annual sport summit for all the sport government partners each year that focuses on their “Long-Term Athlete Development” philosophies and improvement. This philosophy is backed by Olympic gold medalist and First Nations paddler Alwyn Morris as seen in the CBC article "New guide shows indigenous people path to sport, life-long activity". January 2017 - At this year’s Summit, Richard Way, the CEO of the Sport for Life Society, made a presentation in partnership with Own The Podium called from "From Playground To Podium". 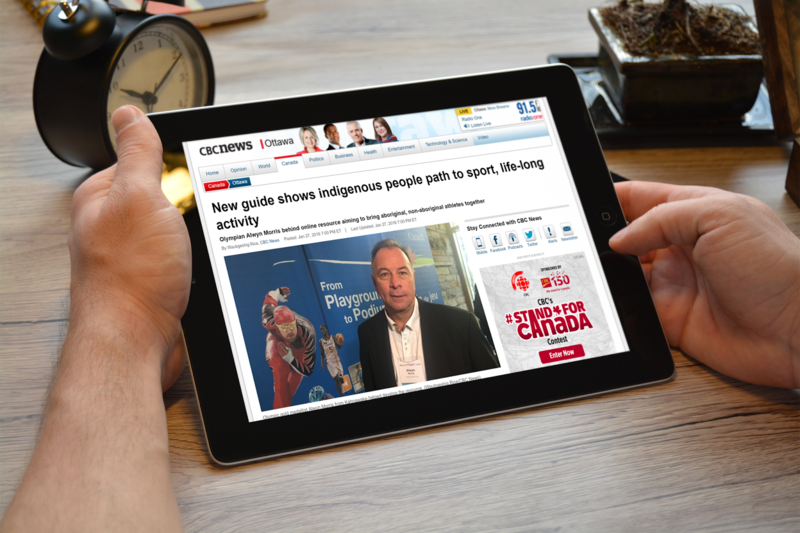 Together both partners - Sport for Life Society and Aboriginal Sport Circle - provide coaching education and knowledge to the Coaches Association of Canada. 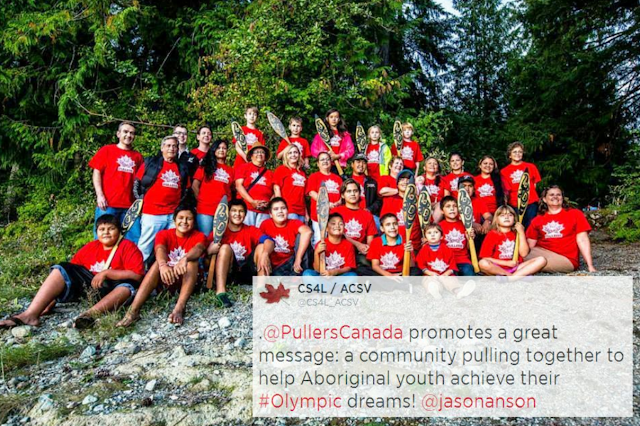 All four organizations provide knowledge, guidance and mentorship for nationals sport organizations in Canada such as CanoeKayak Canada, who have provincial partners throughout Canada such as CanoeKayak BC. June 17, 2017 - Prime Minister Trudeau attended a Microsoft summit “to promote Canadian tech" as documented by the Toronto Star. 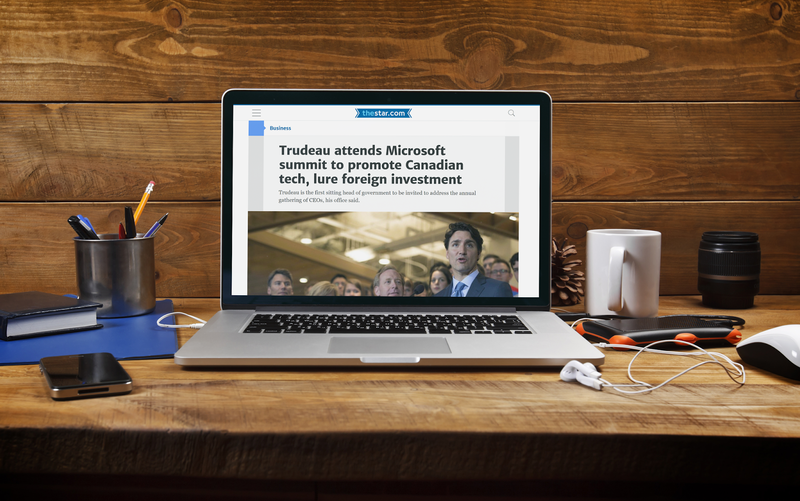 "“The PM will showcase Canada’s skilled, hard-working, creative, and diverse workforce. It is an ideal venue to remind decision makers and investors that Canada is recognized as a world leader in research and development in many areas like artificial intelligence, quantum computing, and 3D programming.”"
July 1, 2017 - Today, I wish Canada a Happy 150th, and I hope that Prime Minister Trudeau and Sport Canada accept my Sport Technology Canada Blueprint as a gift of innovation to ALL Canadians. My dream is that one day Canada is recognized as a world leader in the field of sport technology. 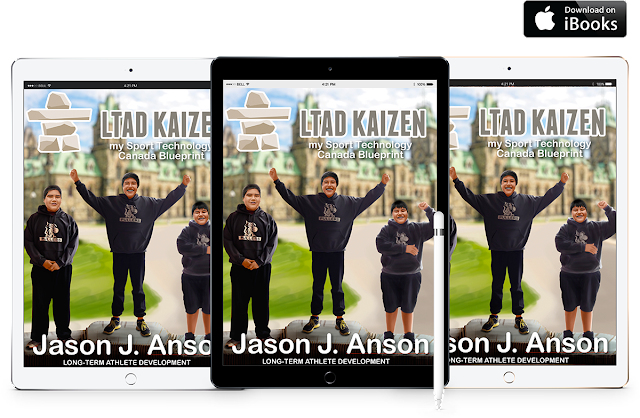 I will document the “facilitated journey” - which will be based on my true passion, my hard work, the diversity I bring as a person with a disability, and the creative process I will continue to use - in my LTAD Kaizen iBook, my template for sport technology in Canada. LTAD Kaizen offers a blueprint to answer the question asked of the Sport for Life Society (S4L) architects: “Can we make technology our friend?” The book follows the story of three families hoping to compete at the North American Indigenous Games Canoe championships and onward to the Olympics. In it we explore ways to make technology your friend and give these athletes the opportunity to have the edge in competition. By applying sport technology advancements and peer-reviewed science we can plan, measure, and monitor them to assist them in peaking at the right time. The intention of the process is to establish a transparent and accountable pathway to Olympic success that focuses on inclusion! 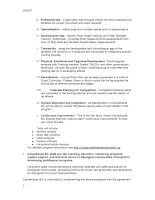 Continue with our "shared learned journey" at http://LongTermAthleteDevelopment.ca.